Pacifica Senior Living is the nation’s largest provider of Alzheimer’s and dementia care. In small “Cluster Groups” each resident is surrounded by others with the same cognitive abilities, to give them a feeling of fitting in. They participate in easy Daily Path activities that foster everyday successes and build feelings of accomplishment and competence. 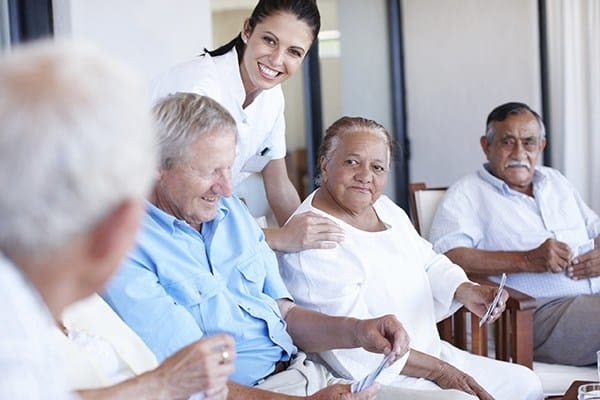 We select a minimum of six activities per day, tailored to match each resident’s previous life interests, and scheduled to give our residents a gentle daily structure, seven days a week, in a routine that gives them a sense of security.